A selection of boys fabrics in both light and medium weight fabrics. Alice in Wonderland is a classic and favourite fable amongst children around the world! 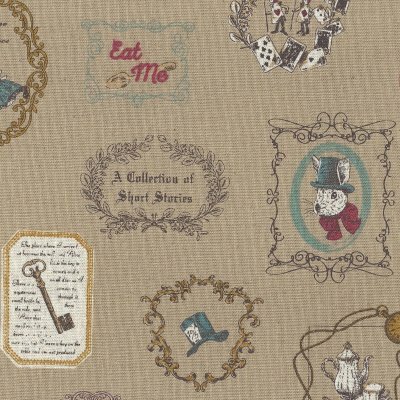 This quaint Alice in Wonderland fabric is sure to light up little faces no matter the project! Printed on a medium weight, cotton/linen blend this design will work well for home decorating projects for nurseries and bedrooms or for apparel, quilting, bags etc..
Colour Blue, raspberry, natural and mustard-gold on natural brown base. 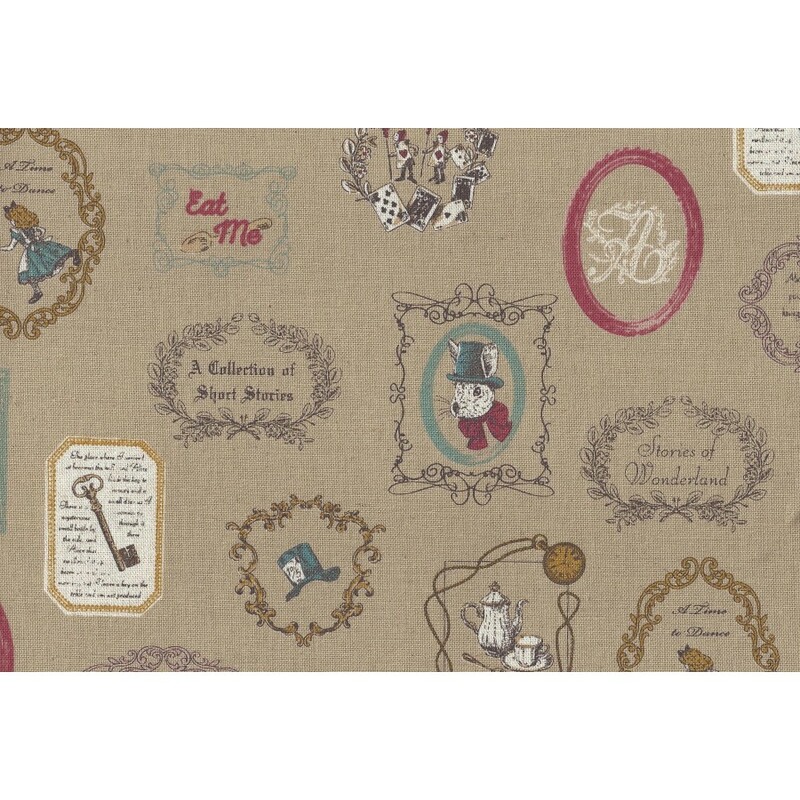 Motif Size Alice running motif 5cm x 8cm. Rabbit motif 5cm x 8cm.